After many years in the gun trade L. W. Butler have built up a network of contacts and established relationships with other organisations who we trust, and that share the same attitude to quality and delivery. As such we are happy to share some of these trusted contacts. A unique and versatile business offering specialist support services and consultancy to other fieldsports businesses; such as secure personal gun collection and delivery, project management, IT, operational support and advice. For the individual they offer game day services like driving, gun and equipment movements, access to a range of in-field services and much more. ZEISS have been a leading contributor to technological progress in precision optics for more than 160 years. Their lenses are world renown, and at L W Butler we believe their range of hunting and sports optics deliver outstanding optical precision combined with superb image quality making them truly world class. As such L W Butler regular recommend Zeiss riflescopes to our clients. Teague chokes are the first choice for serious shots who require perfection in performance and consistency. L W Butler regularly use these chokes in work we do for clients, and they come highly recommended. Specialising in Countryside and Country Sports photography and is run by award winning Buckinghamshire based photographer Mark Lord. Mark is a country boy at heart and has a growing reputation for shoot day photography alongside his existing portfolio. L W Butler were impressed with the quality of images Mark produced for our website, and with the shoot day photography he has done for West Wycombe Estate. Mark also has an excellent reputation not just for Portrait and Commercial photography. 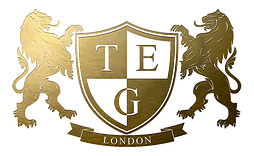 Traditional English Guncases is a family owned and run business, with over 50 years manufacturing experience. They make the finest, hand-crafted exquisitely detailed and robust gun bags and bespoke cases for the most discerning recreational shooters and huntsmen that offer protection coupled with that quintessential English elegance and style. They share the same ethos as L W Butler when it comes to the quality of materials and the skills of their craftsmen . L W Butler use TEG for our bespoke made guns and rifles.